Posted June 2, 2016 by William Martin & filed under Headlines. The new issue of Doctor Who Magazine has revealed that Steven Moffat will still be Doctor Who showrunner for 2017’s Christmas special. When it was announced earlier this year that Moffat would be leaving, it was unclear exactly which episode would be his swansong, with the press release merely stating that Season 10 would be his last. It was expected that he’d stay on for the following Christmas special, but this is the first time it’s been officially confirmed. Assuming that the festive episode is broadcast in its traditional Christmas Day slot, Moffat’s era will draw to a close on Monday 25 December 2017. The first of Steven Moffat’s final 14 episodes as showrunner will be this year’s Christmas special, with a full season of Doctor Who beginning in spring 2017. It’s been rumoured that Peter Capaldi will depart the show ahead of Chris Chibnall’s first season as showrunner in 2018. 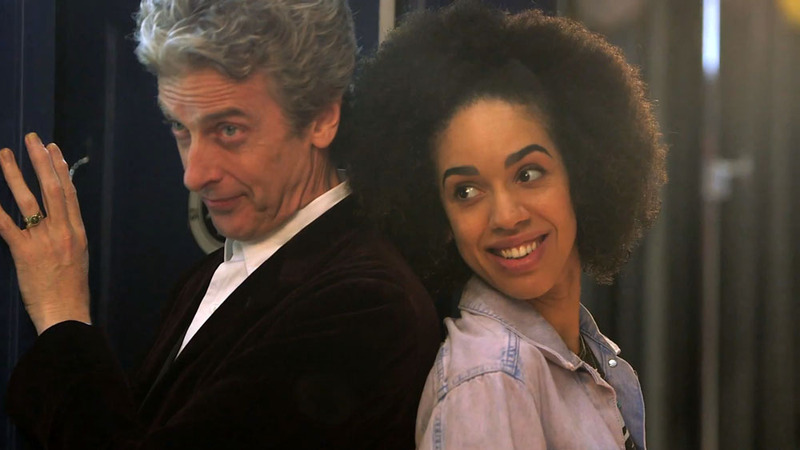 Season 10 will begin filming in July, with Pearl Mackie joining Peter Capaldi’s Doctor as new companion Bill. Michelle Gomez announced this week that she’ll definitely be returning as Missy. Peter Capaldi has already denied the departure rumours. Hasn’t ruled out that he will leave, but it’s certainly not been decided and won’t be motivated by a change in showrunner. As long as he isn’t forced out by the BBC due to some agenda to give the show a vacant pretty boy Tennant type doctor again. Peter has given so much to this show and helped grow its international popularity, not to mention its proper dramatic credentials that it would be criminal if he wasn’t the one to make the call. I personally think he will stay and I bet Chris Chibbers is already down on bended knee begging him but it is a long time out of his career, particularly with the BBC stuffing around with scheduling and forcing this year off. The begging has been confirmed, Capaldi is leaving his options open until the end of the current series (it is quite a while away after all). The BBC have said they won’t get in the way, but execs get shuffled around so often the people protecting them now could be long gone by the summer of 2017. I know this is purely wishful thinking on my part, but I hope Pearl Mackie’s proper debut (as opposed to that teaser with Daleks) is an adaptation of the Marvel Comics story “Doctor Who and the Star Beast”. All Hail Beep The Meep!!! Peter is a professional actor, with a career and family to consider. But if such a die hard fan as himself will not remain for longer than three years-who will? Im bored of this somehow unwritten rule. During William and Pat’s time, the programme was MADE nearly the whole year round: yet, had matters been different, William (certainly) would have stayed. Jon remained for five,and toyed with the idea of a sixth…We know Tom’s record; and again, had matters been different , Colin and Slyv too, would have liked to have continued. It makes sense, that season 11 might begin anew…but there are other ways of keeping the show fresh,without losing its leading man. Tom’s varied run clearly illustrates this. ” Go on Peter! At least stay for a fourth!!!!!! Hmm, thankyou Matthew – just keeping things simple and civil. Met a few of them in my time, but was never invited round for tea. But Cushing…Oh, that Peter Cushing. You could tell he was never really part of the gang.Didn’t fit in. He would insist on mucking about with his name in THOSE films! I think three years is just a coincidence. David Tennant and Matt Smith both could have stayed on longer. No one asked them to leave. Both actors have said repeatedly that they chose to leave because of career choices. David said he was afraid that if he didn’t leave when he did, he never would have left and he felt it was time to move on. Matt has said the same thing. Peter’s hinted that the role has been hard on him personally in terms of missing out on his family due to the long working hours. It’s also an extremely physically demanding role. Matt Smith injured himself a few times and he’s a young man. Imagine how hard that has to be on Capaldi. He’s in a great shape for his age, but he’s more prone to injury at his age and recovery time takes longer. In fact, I read recently in an interview that he had succumbed to the same knee injury that Matt Smith had when Capaldi met him for lunch shortly after announcing that he was the next Doctor. Matt Smith even warned him that knee and back injuries were common when you played the Doctor. The newer Doctors are also a lot more physical than their Classic Who predecessors. There’s a lot more running and leaping and shouting and fantastic action-packed stunts with explosions and falls and wire-work. We know Peter Capaldi is a die-hard fan, but you also have to think about the physical demands on the job. It is an exhausting role and after 3-4 years, people are probably just tired out and ready to move on to something else. Everything you say is of merit Heather. The truth as reported; and excellently put! The “unwritten rule” I mentioned however, is one more of myth and legend regarding the history of the programme: “The ideal length of time in the role is three years”. Which is not entirely correct. Nor coincidence I believe. What I was trying to do – perhaps somewhat poorly – was highlight that such a thought was a nonsense.It partly comes from the reality: that the original William Hartnell did three years…Troughton thought this was long enough: and suggested to Davison not to stay any longer…Baker C. was told by the BBC, that three years was the desired period for any actor ( although he had not done so )…Mr McCoy too, didn’t linger for a fourth ( he never had a choice, just as Paul McGann did not ). In a story hungry media ( Who’s gonna be next? ), and fan-lore, the period in question has almost become a statement of fact. Been carved in stone. It has stuck ! “People play Doctor Who for three seasons, and that’s yer lot”. The modern show has added weight to the perception….All I am trying to say is – wouldn’t it be lovely if someone proved this to be wrong.Loud and clear. And wouldn’t it be great, if that person was Peter? Sad thinking about this but we have right through to Christmas 2017 to enjoy the last of the Grand Moff. 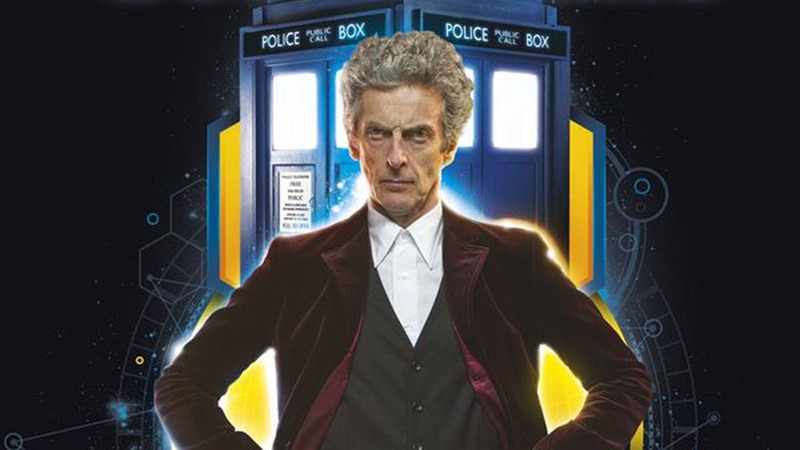 I hope Peter Capaldi stays on as he has been a fantastic doctor and the last series is neck and neck with series 5 as not only the best in new Who but one the very best the show has done in its entire history. Capaldi seemed to get Moff a lot of his past mojo back and I am pretty sure series 10 is going to be the best yet. Since we’ll be getting Missy too, should be a scorcher. I figured that the Moff’s final episode would be the 2017 special, as it seemed a bit weird for Chris Chibnall to write that then do a full series. It also sets up the possibility of another Christmas regeneration if Peter decides to leave with the Moff and that would finish his era off with a bang. Seriously, the Moff Doctors in one episode together would be brilliant and be a kind of celebration of his era without going full End of Time if Capaldi doesn’t leave. They could even bring Amy and Rory back, setting it in a series 5-7a unspecified time, although Karen and Arthur seem to be pretty busy with different things. Could do Clara with Matt but then it gets complicated, as 12 isn’t meant to remember her and Jenna has only just left really. I get the sense that conventions etc. that Matt would love to come back, it depends on his commitment to that Netflix series The Crown as well as any other things he has going on. Can you imagine Matt bouncing around the TARDIS while Peter just stands there looking incredulous, comedy gold right there. I defiantly want Pearl Mackie to stay on whether Peter stays or not. I want Peter to stay but another Christmas regeneration would be cool. I want Missy shenanigans in the Final Christmas episode! I hope this next Christmas includes a full on adventure with Vestra, Jenny, and Strax. Best. Christmas. Ever. I can’t wait to see what Moffat’s got in store for his last episode… unless it’s Capaldi’s regeneration, in which case, no, no, please no. I’d even take more of the Moffat era if you only stay!